Sameer Malik did his Schooling from Saharanpur. He then did his graduation from JV Jain College. After completing his Graduation he worked with a Call Centre and in an NGO. He then did a one year course from Cloud 9, and today he is working with cloud 9 as a Beautician since 2015. A person whose job is to give people beauty treatment. 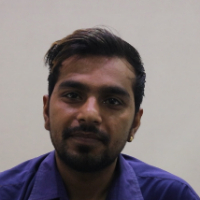 "After doing my schooling from Saharanpur , I did my graduation in B Com from JV Jain college. After that I worked with a call centre and an NGO. I did a course from Cloud 9, and today I work as a beautician with Cloud 9."